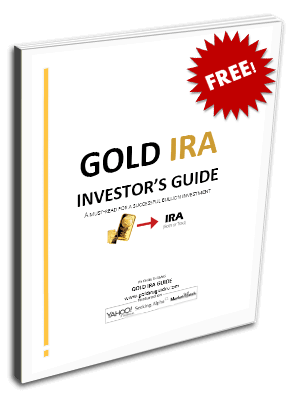 Gold IRA GuideCommodities Commodities: Now’s the Time for a Contrarian Bet? Commodities: Now’s the Time for a Contrarian Bet? To many observers, the outlook for oil and other energy products, industrial and precious metals, grains and other commodities remains bleak, even after a rout that has seen the CRB Commodity Index lose more than a third of its value over 16 months, and which has left the benchmark hovering near 13-year lows. Headlines such as “Why Commodities May Be Ready To Drop Again,” “Gold to Remain Under Pressure,” “Chinese Commodity Consumption is Deteriorating Fast,” and “BP’s Oil Price Optimism May Prove to Be Misplaced,” seem to vastly outnumber bullish counterparts. The reasons for pessimism are largely unchanged from what they were three or even six months ago. Among other things, the renewed prospect of a Fed interest rate hike, possibly as early as December, in the wake of the recent Federal Open Market Committee meeting, is seen as problematic. Aside from the fact that it could increase the costs of financing commodity inventories, many analysts expect such a change to have a significant impact on the dollar. They believe that the combination of tighter monetary conditions in the U.S. and still-accommodative policies in Japan and Europe will draw investment away from the latter and towards the former, strengthening the U.S. currency relative to others. Then there are the concerns about China. There is no doubt that economic conditions in that country have been in a prolonged slide and, based on recent readings from some indicators, they appear to be deteriorating further. China is one of the world's largest consumers of commodities, accounting, for example, for more than 40% of coal, aluminum, copper and iron ore consumption over the past decade, according to Bank of America Merrill Lynch. In fact, “commodity demand growth in China represented between 50% and 100% of global consumption increases across most major commodity markets” over the span. Hence, any sign that the Chinese economy remains under pressure would naturally be seen as bearish for prices. And yet, despite these and other well publicized negatives, there is evidence that commodity markets may be at a turning point. Reports note that current surpluses are set to decline or even turn into deficits over the next few years due to output reductions and demand increases. In September, beleaguered commodity trader Glencore announced steep production cuts at its copper operations in Zambia and Democratic Republic of Congo. Last month, Alcoa, the largest U.S. aluminum producer, predicted that demand for the metal would outpace supply in 2016. Reductions in capital spending by oil companies and news that Saudi Arabia trimmed output in October suggest that global energy markets might also be poised for a turnaround. In terms of China, it appears that Beijing is pulling out all stops to keep the economy from weakening further. In fact, the government is reportedly betting on an improvement. At the end of a recent week-long policy meeting, where Chinese officials laid out the country's social and economic agenda for the next five years, the government “affirmed its goal of doubling the size of China's economy to $12 trillion by 2020, despite headwinds that are taking a bite out of growth.” According to CNN Money, “the ambitious doubling from 2010 levels is one of the government's top priorities.” Various policy measures, including the late-October move by the People's Bank of China to cut benchmark one-year lending and deposit rates, appear consistent with that outlook. Other factors may also support a more positive stance. The U.S. decision to sail a warship close to contested islands in the South China Sea, which spurred China's naval commander to warn “his U.S. counterpart against ‘dangerous and provocative acts,'” as well as a stepped-up U.S. involvement in the Syrian conflict, could lead to preemptive stockpiling of commodities over fears of possible conflict-induced shortages. Meanwhile, the recent announcement by the California State Teachers' Retirement System, the nation's second-largest pension fund, that it was considering a shift away from stocks and bonds into other investments to “protect itself from another downturn,” could lead some institutions to start sniffing around in beaten-down commodity markets. Finally, the technical picture also seems to indicate that a reversal of fortunes is at hand. As the following daily and weekly charts (courtesy of StockCharts.com) show, prices have rebounded after dipping into deeply oversold territory, suggesting that sellers may have run out of ammo, for the near term, at least. More important, perhaps, is the positive divergence between the index trend and its 14-day RSI (a measure of market momentum), which is signaling that prices have more room to run. The fact, as the Financial Times noted, that over the past 20 years, double-digit declines in aggregate commodity prices “were followed by furious recoveries,” only adds to an optimistic perspective. In the end, of course, there are no guarantees that prices will recover. Indeed, some would argue that the eventual unwinding of the various excesses that were created amid extreme central bank accommodation will have a depressing effect on virtually all asset prices for a long time to come. Still, given how poorly this sector has performed in recent years, it's hard not to feel like now's the time for a contrarian bet.